In order to accurately diagnose the cause of your vertigo, your health care provider will obtain a thorough medical history and conduct a comprehensive exam, which may include a number of positioning tests in an attempt to reproduce the sensation. It sounds unpleasant, but figuring out whether certain positions trigger vertigo can help pinpoint the cause. Treatment of vertigo depends on the specific situation, though there are some things that can help most cases. Limit your consumption of alcohol, fried foods, and salt. If you smoke, try to quit, or at least cut back. Some people get relief from taking vitamin b6 or ginkgo biloba. Exercise, stress reduction, and getting enough sleep should all be part of a treatment plan for vertigo. A large number of people with vertigo are diagnosed with benign paroxysmal positional vertigo (BPPV). BPPV is caused by bits of calcium in the inner ear. This type of vertigo is most often treated using the Epley Manoeuvre. The technique involves lying down and moving rapidly from side to side. This helps move the calcium debris to a location that is less sensitive. At the Eastern Brain Centre we are experienced in performing the Epley Manoeuvre. Those with vertigo caused by Meniere’s disease may get relief by reducing their sodium consumption, though results can be variable. When vertigo is a symptom of migraine, lifestyle changes may offer relief from both the migraine and the vertigo. Consider avoiding aspartame, chocolate, caffeine, and alcohol. Exercise and getting more sleep may also help. There are also vestibular exercises, such as the Brandt-Daroff exercises, which you can do at home to help treat BPPV and many other causes of vertigo, including labyrinthitis, vestibular neuronitis, and vertigo associated with migraine. We’ll prescribe exercises for you when appropriate. 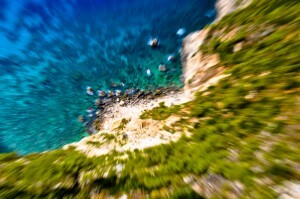 If your vertigo is accompanied by visual disturbance, weakness, drowsiness, weakness, clumsiness, uncontrolled movements, unusual behaviour, or abnormal eye movements, you should seek immediate medical attention as these may indicate a serious condition. If you’re experiencing vertigo, call the Eastern Brain Centre now on 03 8652 1628 to arrange an appointment to learn more about if we can help you get relief.